Full Time, 12 Month Teaching Position in a Unique Day Treatment/Therapeutic Preschool Program. Work Collaboratively as Part of a Multidisciplinary Team to Implement Academic, Behavioral and Therapeutic Services for Special Education Students with Emotional Needs. Implementation of Specialized Early Childhood Curriculum, Behavior Management Plans and Special Education Best Practices and Methodologies. 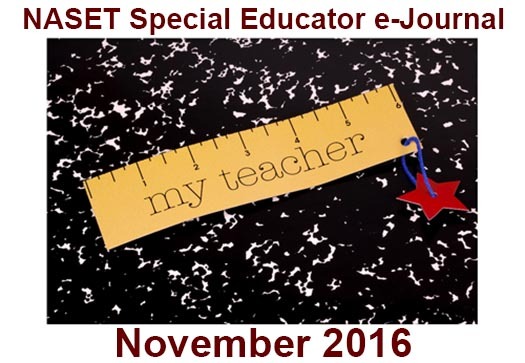 New York State Teacher Certification in Students with Disabilities (Birth-2), or Pending. Seneca Family of Agencies provides an unconditional continuum of care for the most vulnerable children and families in California. We provide a range of school-based, community-centered and residential services to support the diverse needs of our clients. At our school programs, Seneca seamlessly interweaves special education services with rich therapeutic and behavioral supports. Our students are referred to us after years of school failure; it is our goal to provide an enriching and successful environment where students' strengths are celebrated and their needs addressed with a variety of targeted interventions. Within the program, our Special Education Teachers are responsible for providing multi-grade, standards-based instruction and academic interventions that afford students the opportunity to thrive academically. The teacher works on a dynamic team to provide a clear, consistent structure for the classroom, ensuring that the academic, social, and emotional needs of each student are met within the guidelines of the Individualized Educational Program (IEP) and the Treatment Plan. Provide an individualized academic intervention program to target at-risk learners. Qualified teachers will hold a valid Special Education Credential - Mild/Moderate. Position works with children of American military families stationed overseas at RAF Lakenheath, UK. Provides early intervention services to developmentally delayed infants and toddlers, in a home-based program. Position requires a Master's degree in Special Education, a minimum of two years’ experience within the last five years working with developmentally delayed children in the 0, 1 & 2-year age population in a home-based early intervention capacity, and a current state teaching license/certification to teach in this capacity. Paid relocation, medical, dental, generous paid time off, competitive salary and housing allowance. The Durham Center for Education, a division of The Institute of Professional Practice is seeking a Special Education Teacher to join our team of enthusiastic and dedicated professionals. Reporting to the school's Director, you will join a team of educators, dedicated to "getting to the heart of every child." The Durham Center is a small state of the art school for ASD students located in Central Massachusetts with easy access to Boston and surrounding cities. Our students come to us with a variety of complex profiles, each unique, but each wanting to learn. We enjoy nurturing time spent in the classroom, gymnasium, and in the community. Our teaching is based on the principles of Applied Behavior Analytics, and teaching communication, social, functional and job readiness skills. Durham Center students and educators participate in community activities, work experience, and learning excursions. Uncommon Schools (Uncommon) is a nonprofit organization that starts and manages outstanding urban charter public schools that close the achievement gap and prepare students in high poverty, high need areas to graduate from college. Uncommon currently manages 44 schools serving nearly 12,000 students in six cities: Boston, New York City, Newark, Camden, Rochester, and Troy. Who are we? We are a community of educators, families, and students united by the fierce belief that every student can graduate from college. We signed on to this mission because we believe educational inequity is an American crisis. We are an intensely committed group of people who bring tenacity, dedication, and celebration to our work each day. We love fun, and we love focus. With the right balance, we're able to ensure that our students are prepared to get to and through college. If you are passionate about improving educational opportunities for historically underserved children and communities, please visit our website at www.uncommonschools.org and apply online via the Special Education Team posting. The foregoing information is requested for mandatory government reporting purposes only. As an equal opportunity employer, we hire without consideration to race, religion, creed, color, national origin, age, gender, sexual orientation, marital status, veteran status, disability, or any other category protected by applicable law. Minimum of two years teaching experience in an urban public school or charter school setting preferred. Belief in and alignment with Uncommon's core beliefs and educational philosophy is non-negotiable. KIPP DC is a non-profit network of high-performing, college-preparatory public charter schools in Washington, D.C. Our sixteen schools and The Learning Center recruit and educate over 5,700 students on six campuses in the city's most educationally underserved communities across wards 5-8. At KIPP DC, we empower students to access opportunities that lead to a choice-filled life. Highly skilled teachers and leaders, more time in school, a rigorous college preparatory-curriculum, and a strong culture of achievement and support help our students climb the mountain to and through college. At KIPP DC, we believe the quality of instruction defines the rate and quality of student achievement. Therefore, teaching and learning is at the core of everything we do, and we view our Lead Teachers as a critical component of our mission and success with regards to ensuring all students learn and achieve within classrooms that are intentional, rigorous, and joyful. We are looking for highly dedicated educators who will bring an unwavering commitment to helping children succeed. KIPP DC's teachers are responsible for delivering effective, high-quality, rigorous instruction in their content areas, producing unmatched academic results and student growth. KIPP DC gives its students an intensive foundation in the core academic subjects with an emphasis on developing the knowledge and skills necessary for success in school and in life. The KIPP DC community holds itself to high standards, cognizant that success can be achieved by all, regardless of challenging circumstances, through team work, tenacity and focused dedication. KIPP DC Special Education Teachers work closely both as a team and with General Education Teachers in order to plan targeted, high-leverage intervention for their students. Our Special Education Teachers seek first to diagnose student challenges and then to design individual programs and differentiated strategies in order to meet specific needs. The team serves students with IEPs and diagnosed disabilities, as well as with students who are identified as at-risk. We are looking for hardworking, team oriented, and experienced teachers for 5-8th grade. While students receive instruction from 8:00am-4:30pm, KIPP DC teachers are on duty in school Monday through Friday from 7:30 am to 5:30 pm, with most arriving before and staying after these hours. Many KIPP DC teachers take on additional roles within the school, including working as Saturday School Coordinators and Grade Level Chairs. Though they face demanding schedules, all KIPP DC teachers are strongly supported by experienced and dedicated leadership and staff. KIPP DC students have an extended school day, Saturday School, and a mandatory summer session. Additional responsibilities may arise during the school year. This could include but not limited to: attending staff and student field trips, open houses, parent-teacher conferences, home visits, and other events involving parents and students as needed. They will be communicated to all employees with as much notice and flexibility as possible. Salaries for staff are competitive with added compensation for KIPP DC's extended day and year, along with additional bonuses. KIPP DC offers its employees competitive rates for medical, dental, life, and long-term disability insurance. KIPP DC also offers its employees a 403(b) retirement account with employer contributions and matches vesting after 3 years. Teachers are also supported with on the job professional development, a laptop computer for work, and access to a discounted cell phone plan for staff/student/parent calls. The successful applicant will assist in the development of coursework in Applied Behavior Analysis for Board Certified Assistant Behavioral Analyst (BCaBA) and Board Certified Behavior Analyst (BCBA) preparation. Berry College currently has a 4-course sequence approved by the Behavioral Analyst Certification Board preparing students for BCaBA certification. Responsibilities may include 1.) Teaching courses such courses as Applied Practice in ABA, Single Subject Design in ABA, Advanced Strategies for Behavior Change in ABA, The Exceptional Child, and Ethics; 2) Assist in the development of a graduate course sequence and clinical experiences that would prepare students for BCBA and BCaBA certification; 3) Work with local schools to develop sites for practicum placements for students taking ABA coursework; and 4) Work with formal training collaborations with clinical facilities in the region that take a lead role nationally in the development of innovative use of ABA to treat severe behavioral disorders, language acquisition, educational deficits and feeding disorders. The faculty member is expected to engage in close collaboration with faculty in these facilities for providing classroom instruction and supervision of students in clinical practica. Service, including committee work at the college, school, and department level and student advising are expected. In addition, the successful candidate should demonstrate potential for research. It is expected that the successful candidate maintain an active research agenda. Candidates must hold a Ph.D. in Special Education, Psychology, Applied Behavior Analysis, or Education and be a Board Certified Behavior Analyst (BCBA or BCBA-D) by start date. Competitive applicants will have had previous experience in supervising clinical training in ABA. Applicant should send letter of interest, curriculum vitae, evidence of teaching effectiveness, a statement of teaching philosophy, transcripts and three letters of recommendation to Dr. Karen Kurz, Assistant Dean Graduate Studies in Education, Berry College, P. O. Box 495019, Mount Berry, GA 30149-5019 (e-mail: kkurz@berry.edu). Review of applicants will continue until a suitable candidate is identified. A national background check may be required of applicants. Multiple medical, dental, vision plans to choose from. Supplemental retirement, life insurance, disability plans available. Learn more about us at www.pwcs.edu .